How do you get a great credit score? We work hard at helping you reach your credit and life goals. 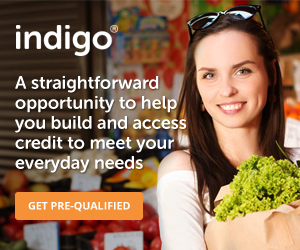 Are you starting out and need to build credit? Are you a seasoned individual who has faced hard times and now you have poor credit? Are you looking to fine tune what you’ve already learned? Education is key in this industry and knowing your rights will help make you the ultimate consumer down the road. We will help educate you on the laws. Credit monitoring is not required we highly recommend having it for all three bureaus to yield the fastest and best results. We do have a discount link available to the company we use. The company we use for our clients is programmed to upload into the software seamlessly. Automatically be added to our Facebook’s DIY Group! DIY clients tend to be very successful. This is because you are not only ready for the repair process, you are ready to take control of the future and learn first hand how to gear up for success! This program includes the most current letters to be used for every situation that you will face on your credit report. Ongoing 3 bureau credit monitoring service is still highly recommended in order for us to better serve you in the event that you need help. 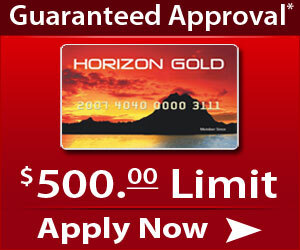 Assistance will continue to be available to make the best of your investment into repairing your credit. We Invite You To Leave Us A Review On Yelp! We understand that sometimes time is just not something available to our clients and because of this, we have a full-service line available to meet your needs. We have individual, couple’s, bankruptcy removal packages. As a huge thank you to our service men and women we offer military/government service discount packages. A consultation and review monthly. Special links to the best credit building tools available from building credit with paying your rent, secured credit cards specifically designed to build your credit faster (when used properly), and in some states referrals to one of our preferred real estate agencies that offer lease option home ownership programs. o We do have a discount link available to the company we use. The company we use for our clients is programmed to upload into the software seamlessly. o DIY clients tend to be very successful. This is because you are not only ready for the repair process, you are ready to take control of the future and learn first hand how to gear up for success! These programs (options 1-3) include the most current letters to be used for every situation that you will face on your credit report. Just state ID, Social Security card, Proof of Address, and any responses that you have from creditors, collection agencies, and the bureaus. $149 Administration and Registration Fee. This plan is our most straightforward option for any client. You will only pay for deletions and one of our highly trained specialists will guide you every step of the way to improve not only your score but your overall credit health. This package specifically addresses the removal of public records such as Bankruptcy, Repo’s, Child Support, and Foreclosure from Experian, Equifax, and Transunion. We strive to help you remove the most damaging negative items from your credit reports from Experian, Equifax, and Transunion. $599 This plan is specifically designed for our clients who were close to obtaining a mortgage but for some reason were turned down. One of our credit repair specialists will team up with a mortgage specialist to get you ready for the mortgage , you originally missed out on. $99 One Time Fee and just $29 a month. This is our Do-It-Yourself fully computerized system. You will have access to our entire database of most used letters as well as monthly counseling on how to respond to and address the bureaus in a custom manner to get the most out of your efforts and avoid generic responses that get you nowhere. You can sign up online right now by clicking the link on the package you prefer. In just a few short minutes you will receive an email with instructions on getting signed up for your credit monitoring service as well as signing the contract needed for us to get going on our part. credit reports. Once we have your login for the credit monitoring site, we will download the reports and start our review and audit process. Make sure to check your spam folder if you haven’t received an email in 15 minutes. Is there a charge for credit reports? Yes. Credit reports and monitoring are from third-party providers and they require a monthly service charge that is separate from our service charges. 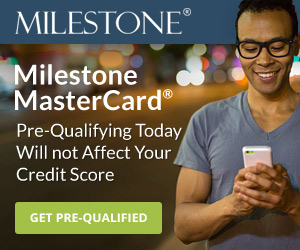 Will getting my credit reports hurt my score? Can't you just pull my credit? No! This is NOT permitted. We do not offer any type of lending so pulling credit would not be legal and it would actually hurt your score. Are upgrades in my service available that will get the job done sooner? No. All of our clients get 100% of our service regardless of the package they choose. The packages simply identify the majority of the problem and the end goal for the client. This is a very difficult to answer. Every file is different and is treated as such. The average file takes anywhere from 3-6 months but we’ve had files take only 45 days and we’ve had files take over a year for completion. This often times depends on the clients goals and the depth of the file itself. We offer a 50% discount to all service men and women as a thank you for their dedication to our nation in any capacity. This includes current and former: military, police, fire and any government service personnel. We do however ask for something that verifies this if it was a past position. We offer the same discount to anyone on disability. Yes we certainly are. We donate 10% a year to local charities that work tirelessly in our communities as well as an occasional GoFundMe campaign. If you have a specific charity in mind when you sign up, please let us know if it is on our current list. Yes do! Please see our Service Disclaimer at the bottom of the website for clarification as it varies slightly based on the package you choose. How many items do you dispute at a time? We base this on the client’s particular file but because we address the bureaus and the creditors, we average 10-20 on a monthly basis. Should I signup my spouse at the same time? We certainly feel that you should do both files at one time. We do have discounts available for your spouse that encourage you both sign up at the time and we offer special couples pricing to help curb the costs of repairing 2 files at once. Do I have to be married to get the couples discount? Nope! We respect the decision that you have made to not be married. We do require that you reside in the same household in order to get the discount though. Do you offer student loan relief? Yes. The service costs $250 and includes the facilitation of loan consolidation, income-driven repayment plans, and in some cases forgiveness. We have many programs available. What if I run into a problem and can't continue your service? We offer a wide variety of payment solutions if you ever run into a legitimate and verifiable problem such as job loss. The last thing we want is to create an additional burden on our client but because our service fees are based on results an invoice will still need to be addressed if a balance is outstanding. Communication is key in this situation. Most client see a positive result in the first 45 days. GET STARTED ON THE PATH TO BETTER CREDIT TODAY!